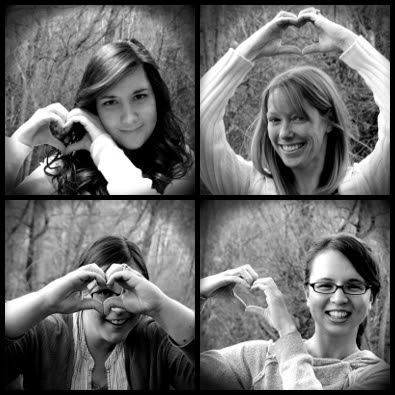 Eee, jealous! But thanks for sharing your interview with us. =) I think it's one of my top goals to see Sarah at some point, because the only two times she's been in Toronto (that I know of), I haven't been able to attend. I have to say my favorite author signing experience was meeting Sarah Dessen on her What Happened To Goodbye paperback tour earlier this year! Not only was she super cool, but I got to give her a bottle of wine from a local vineyard. 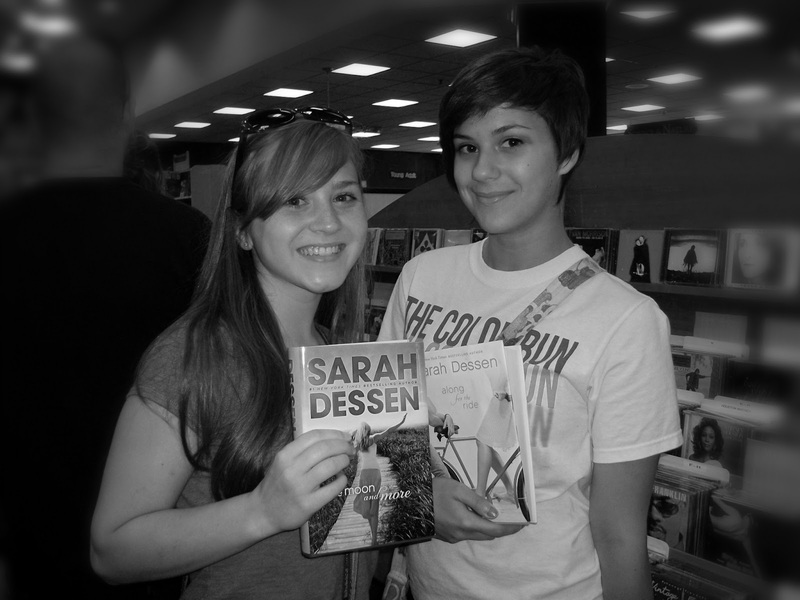 She's by far the nicest author I've ever met, and I hope to see her again in the future! 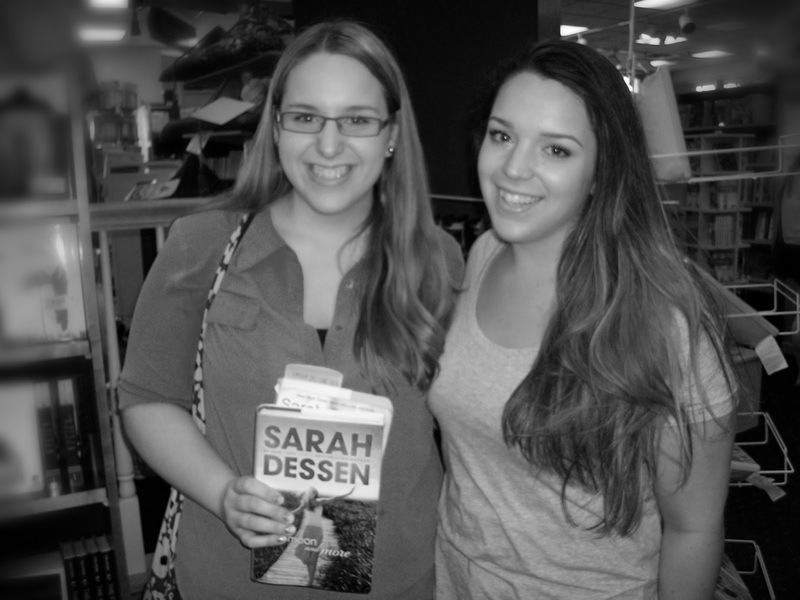 I got to go to Marissa Meyer's author event for Scarlet. It was absolutely fabulous!!! I even learned what SWAG meant (stuff we all get) IKR!!! GREAT interview! I can't believe that she's been writing for 20 years. Wow. That's an amazing career and, what's even better, is she keeps getting bigger and bigger! 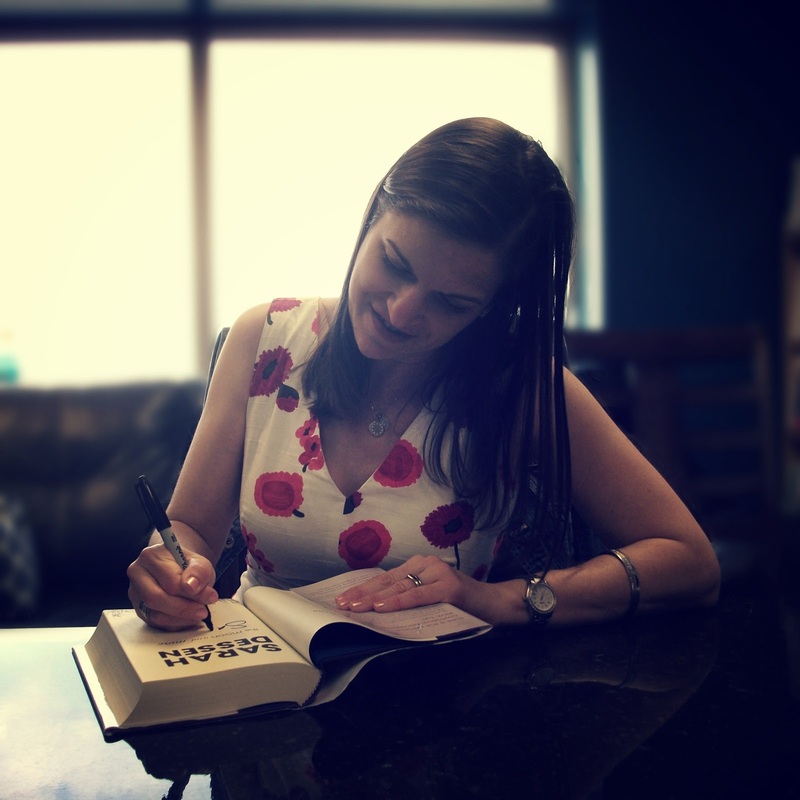 So cool-I would love to meet Sarah Dessen as her books have been hugely important to me at so many different times in my life. Have to agree about the ending for TMAM being a little different-if y'all haven't read it yet, be prepared! I got to meet Francesca Lia Block (who has been my favorite author for about 14 years!) when she came to Boston a couple years ago. She rarely leaves L.A. so I felt incredibly lucky! I was so starstruck! In the 90's I went to a bookstore signing for Ann M. Martin, the author of the Baby Sitter Club series! 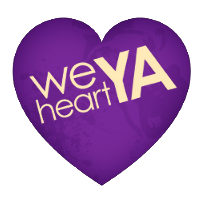 I'm obviously not entering the contest (since I'm part of the WHYA group) but I so loved reading Sarah's responses. Great interview, Steph! I've never been to an author signing. I would love to meet Kimberly Derting though. She lives on the other side of my state, so there is a better chance of meeting her. I love all her books too. I've been able to meet Ally Condie, Lauren Oliver, and Elana Johnson! My favorite would have to be Lauren Oliver on the Dark Days Tour, she was with a lot of fun, entertaining authors!! I'm looking forward to book signings with Brodi Ashton and Marie Lu later on this year. 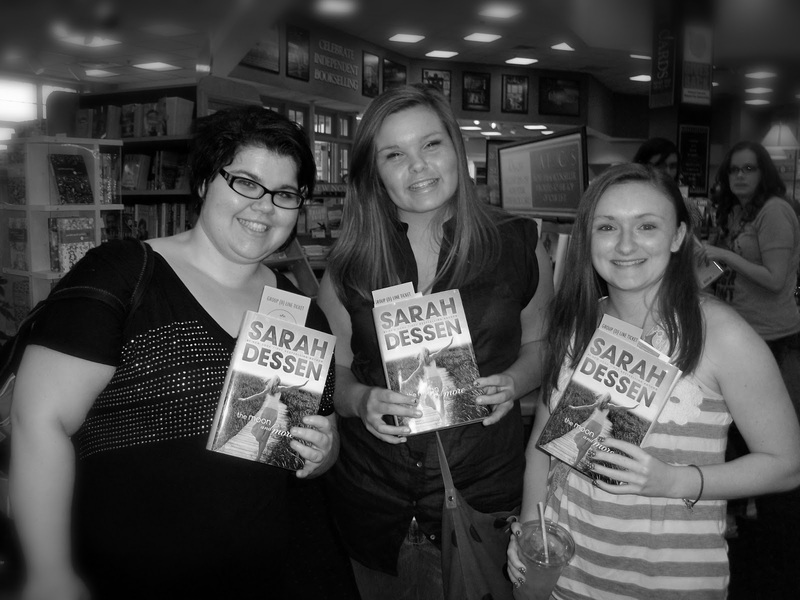 Signings are so much fun! My favorite was going to meet Ally Carter in Lansing, Michigan! My cousin and I love her books and it took us forever, but we finally convinced our parents that skipping the last two periods of school to meet an author was acceptable. We had so much fun on a Teri hour roadtrip in which my cousin and I stopped at a basket for cookies and sang songs really loud. 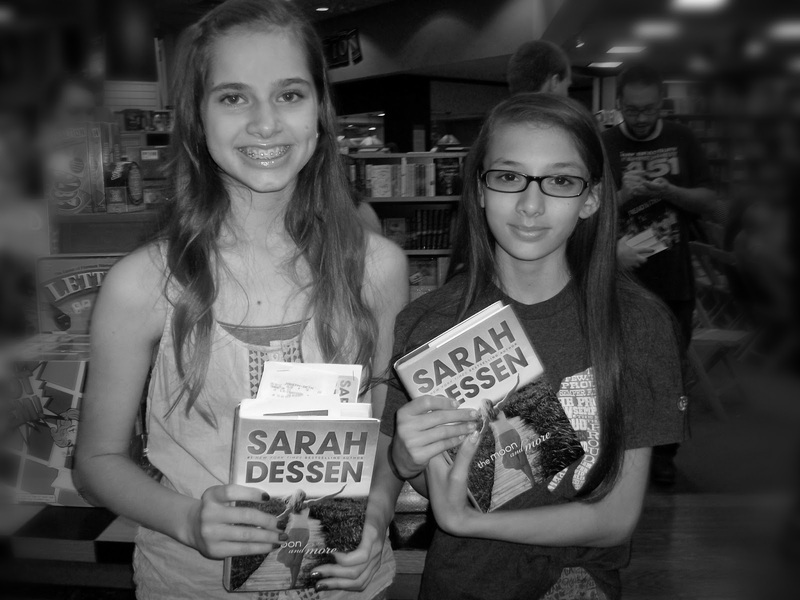 Then, we got to the bookstore and met so many Ally Carter fans. We also talked forever with store manager who was really nice. Ally also took time to talk to everyone individually which was awesome. I loved her accent and she was just adorable. She told us she loved our t-shirts (they said "Team Uncle Eddie" with our fav. quotes of her's on the back). Anyway, it was the best author experience ever and the best 16th birthday present. 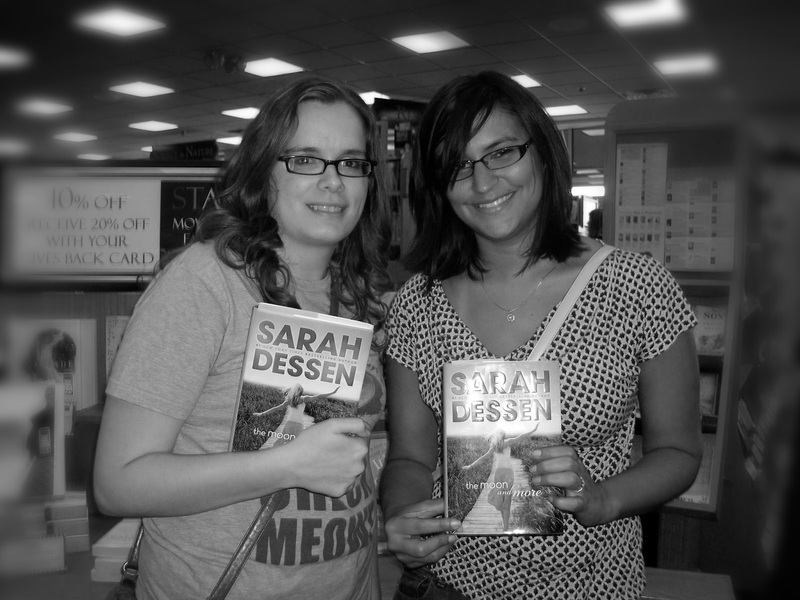 We also almost went to see Sarah Dessen, but my sister's best friend dad died two nights before so instead we drove down to help her. 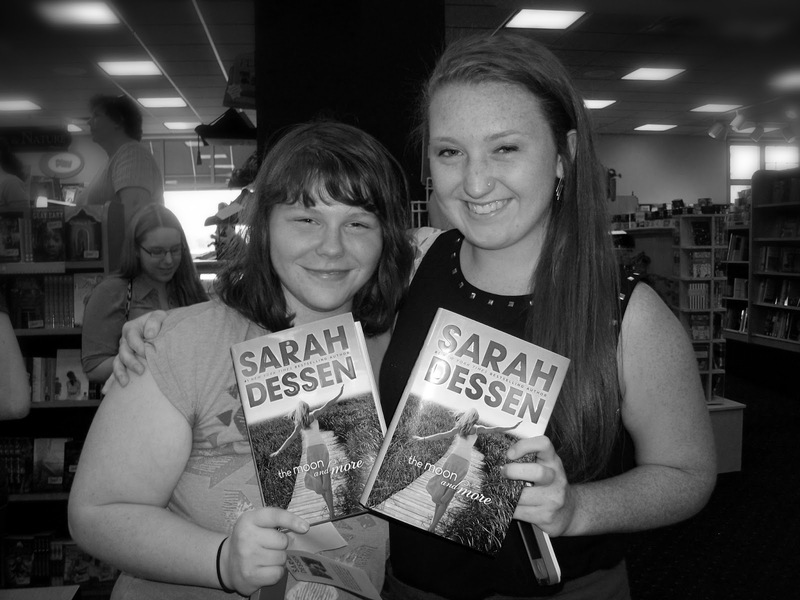 Her favorite author is Sarah Dessen and we were going to surprise her with a signed book. We never got the chance. 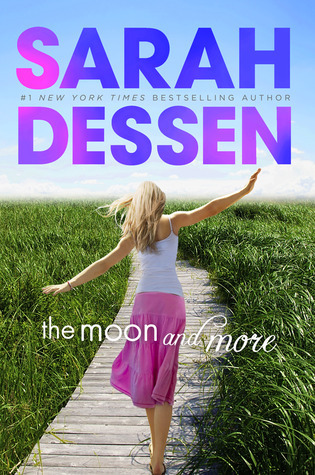 I really want to meet Sarah Dessen, but no one could drive me. (I'm thirteen and don't have a license) My mom promised me that she will take me to see Rick Riordan if he is ever in the area so I'm really excited! Thank you for the giveaway!